Hannah Farnham Sawyer Lee, 1780-1865 Memoir of Pierre Toussaint, Born a Slave in St. Domingo. Memoir of Pierre Toussaint, Born a Slave in St. Domingo. Boston: Crosby, Nichols, and Company, 1854. 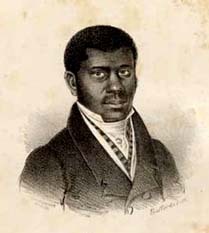 African Americans -- New York -- Biography. Free African Americans -- New York -- Biography. Hairdressing -- New York -- History. Slavery --New York -- History. Slaves -- New York -- Biography.